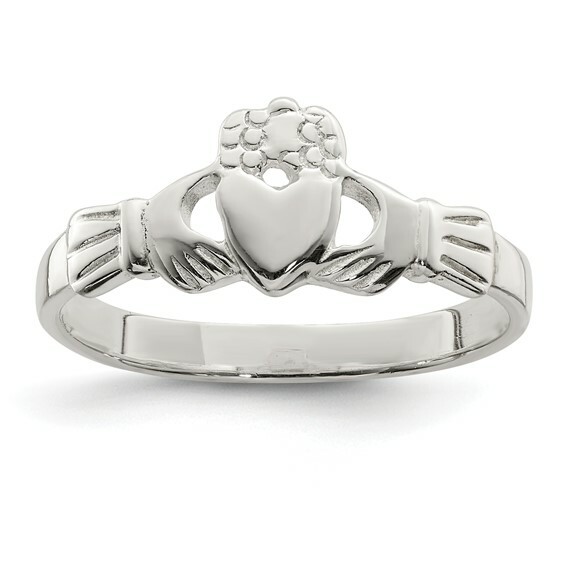 Size 7 sterling silver solid claddagh ring. Weight: 2 grams. Made in the USA.